As we slide into February, this is the time of year when most people who made New Year’s resolutions, realize that they cannot meet their stated goal. According to Huffington Post, less than 10% of resolutions are kept. The classic example is the crew referred to as the so-called “January Joiners” at fitness and health clubs who have completely disappeared by February. Sadly, most fall short simply because bad habits are very hard to break. It’s human nature; setting a new direction in life is very tough, especially when personal likes and preferences are already well established. However, despite the challenge of changing a bad habit, I have openly asked all high school students to consider a new commitment for the balance of the school year. If achieved, this one change is probably the single most significant initiative our students can take to improve their lives – and one that I think they can all achieve, if only incrementally. So what am I asking them to do? Get more sleep! I know that some students are really good about their sleep routines and I certainly commend those who have established good patterns. However, a recent study by researchers at San Diego State University in California tells us that almost a majority of students don’t get enough sleep. This study of 370,000 US teens was published in November. It confirmed a continuing and alarming trend where large numbers of teens in the US continue to trade sleep for increased screen time. And I don’t think that there would be major differences on this topic with young Canadians. The survey showed that more than 40% of all teens get less than seven hours of sleep a night, up from about only 20% in 2009. 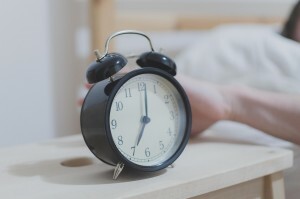 But medical specialists reiterate that all teens actually need nine hours of sleep a night for the well-being of their bodies, brain development, the deep embedding of learning at school, as well as their emotional well-being. Over time, a continued lack of sleep is clearly linked to depression, short-temperedness, anxiety, and a host of other negative psychological challenges and physical effects that can notably diminish the teen body. Despite broad conceptual knowledge about the impact of sleep deprivation, current evidence shows that this negative trend continues to move in the wrong direction. So I recently asked our high school students to be honest with themselves. If they’re not regularly getting nine hours of sleep a night, they actually need more. I urged them to stop wishing for more sleep, but to actually take steps to make it happen. As with most other bad habits, if they want to truly adopt change, real life dictates that they will have to start with baby steps, as vague promises are unachievable. The studies have shown that too much digital screen time is not only stealing potential sleep time, but too much texting, social media or video-watching right before bed can also make it difficult to fall asleep. The blue light emitted is too stimulating and makes it hard for the body and brain to wind down quickly. Yes, something called “night-mode” exists on most phones and tablets. But the experts say it’s not enough. Brain and sleep experts suggest that adolescents should limit screen time and stop all screen exposure at least half an hour – and ideally one hour – before bed. To avoid all temptation, cellphones should be in another room, and I urge our students to return to an old-fashioned alarm clock rather than full dependence on their smartphones. A book is also a good way to wind down while feeding the brain before bed. It’s surely a good habit to continue or pick up.